Audi broke new ground, while representing their next design evolution in 2012 with the innovative Audi A7. 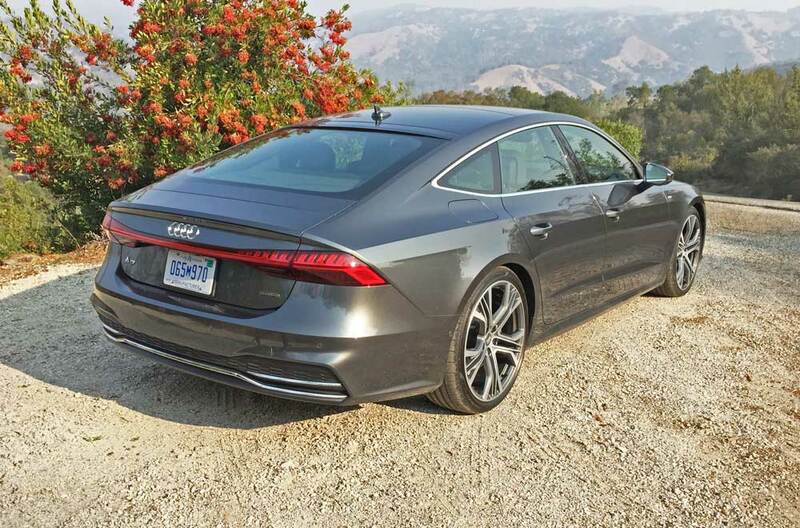 The latest iteration of the Audi A7 for 2019 continues to blend the emotional appeal of a coupe with the luxury and prestige of a sedan, but with the functionality and versatility normally only found in a wagon. 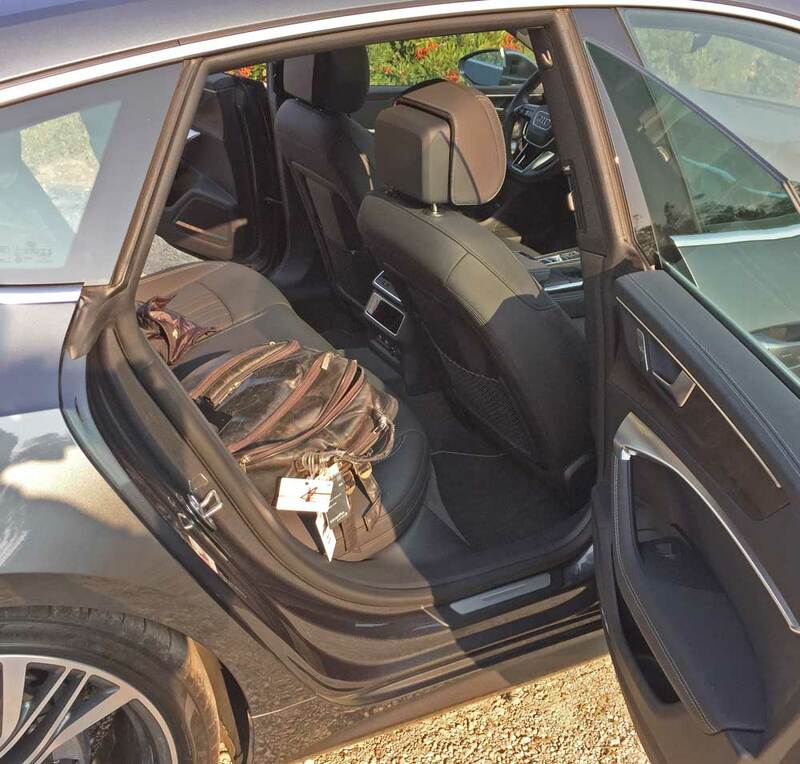 The A7 presents itself as a five passenger, sleekly profiled four-door sedan – make that five- door sedan, as the rear is actually in the form of a hatch that is positioned atop a sporty, lightweight chassis, and powered by a newly developed, highly efficient 3.0-liter TFSI® DOHC, 24-valve Turbocharged V6 engine with Audi VVT in addition to a 48-volt Mild Hybrid Electric Vehicle technology with recuperation. The system’s combined horsepower is rated at 335 in a range from 5,000-6,400 rpm. The pound feet of torque rating is 369 from 1,370-4,500 rpm. Energy is transmitted from the longitudinally mounted front engine to the quarto AWD system with ultra® technology via a seven-speed S tronic® dual clutch automatic transmission. 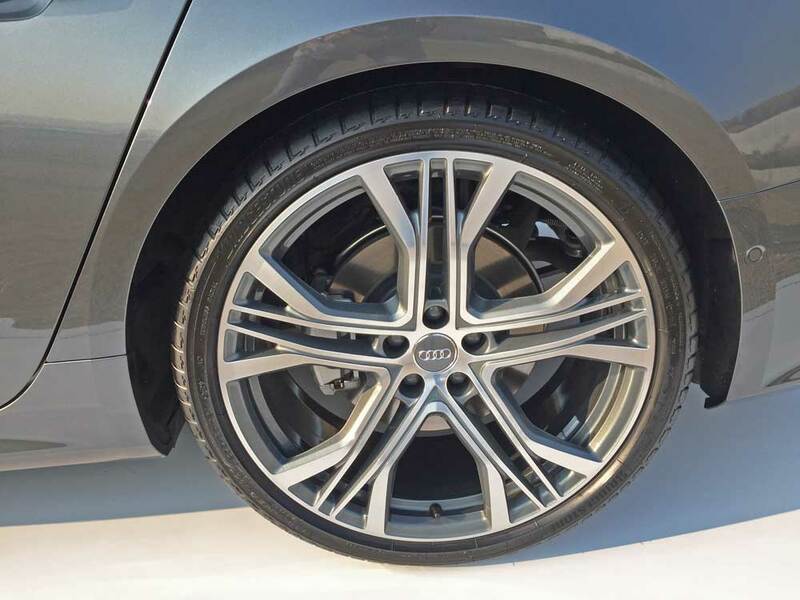 The A7’s wheelbase measures 115.2- inches, and the overall length measures 195.6-inches. (1.2-inches more than the New A6) Add the 83.1-inch (with mirrors) width and 55.9-inch height and you come up with an elegant and spacious GT package. The roofline is low, with a gracefully arched greenhouse and integrated rear doors, projecting a coupe-like silhouette. The frameless door windows and side mirrors further enhance the coupe-like form; with the “C”-pillar stretching rearward and flowing into the shoulder character line. The sharp “tornado line begins forward at the headlamps, extending across the fenders, over the doors, terminating in a soft slope toward the taillamps. The overall effect pays homage to the 1969 Audi 100 Coupe S. Audi’s signature Singleframe® grille is contoured at the hood’s leading edge, featuring a chrome surround framing the high-gloss black lattices with chrome accents. The wide, low air inlets and horizontal struts, along with the fascia’s horizontal posture, emphasize the car’s width. 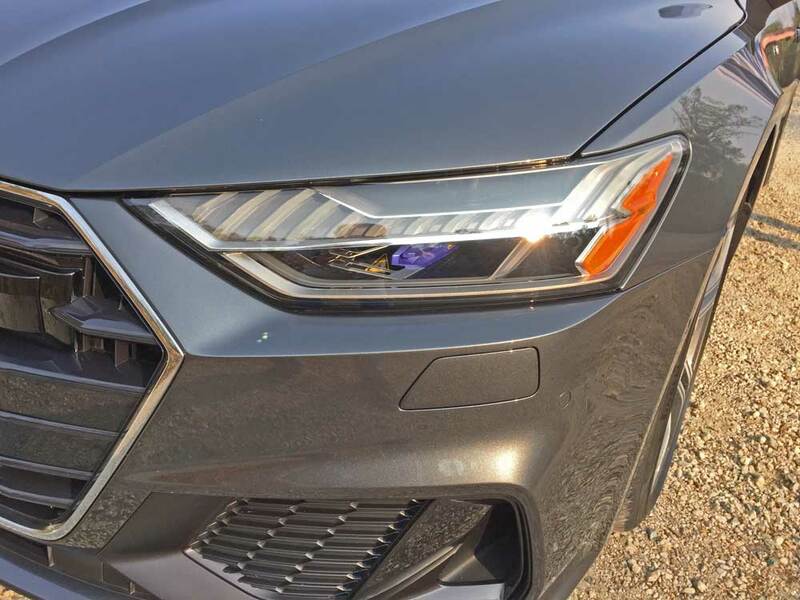 In addition to the LEDs in the daytime running lights and the LEDs utilized in the turn signals – two powerful LED units comprise both the low and high beam headlamps on both sides. An optional adaptive lighting modifies the illumination level. An integrated rear spoiler automatically deploys at 80 mph and retracts at 50-mph – it may also be deployed manually. Dual chrome exhaust outlets blend into the rear fascia and hint at the car’s performance capability. An optional S Line trim Package enhances the dynamic appeal of the A7 with redesigned front and rear bumpers with air inlet grilles, extended rocker sills along with a platinum gray diffuser insert. 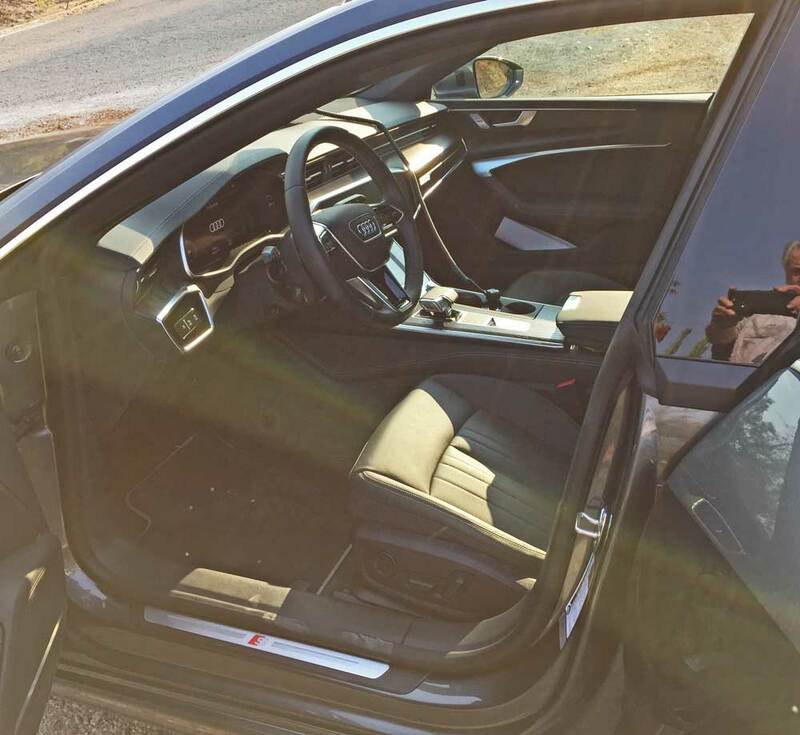 Moving to the inside, the A7 displays a “wraparound” design that encircles the driver and front passenger, while the center console is canted toward the driver. Front seats feature 10-way adjustability, with available four-way lumbar support, three-stage ventilation and heating (with latter available for the two contoured rear seats as well). The interior ambience is heightened by rich chrome air vent bezels, with aluminum trim accents highlighting the optional layered wood veneers, along with the four-spoke steering wheel that is height adjustable and telescopic. The rear hatch provides a height adjustable power-lift system that opens and close at the touch of a button. 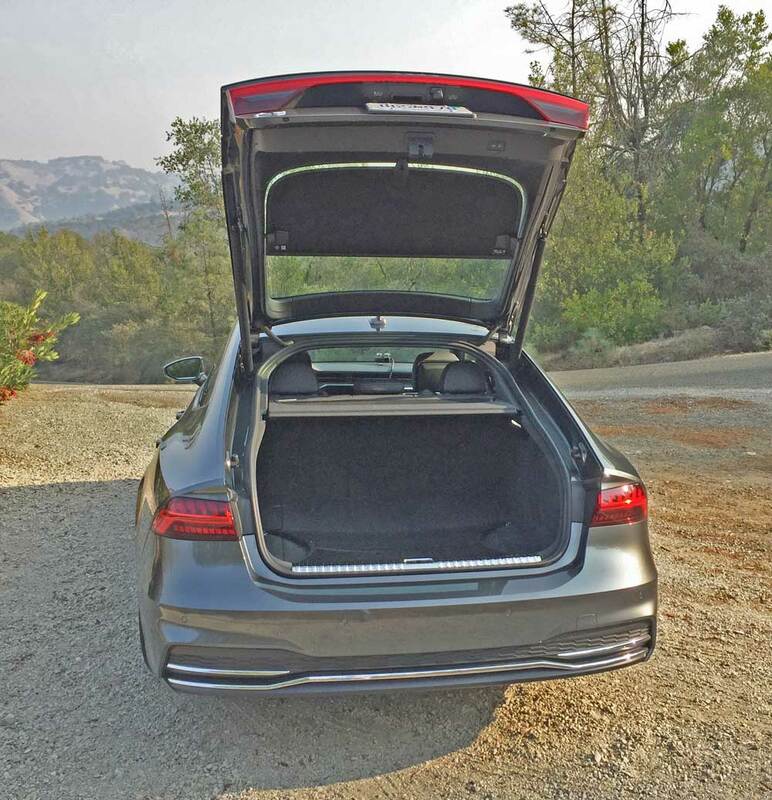 The cargo area is 24.5 cubic feet in its base form, but by folding the 60/40 split rear seat backs flat, an even greater expanse is realized. 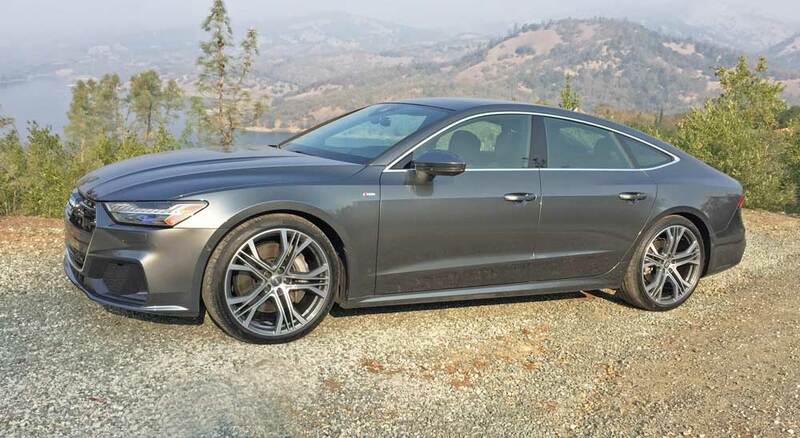 My test 2019 Audi A7 came with the Prestige S line features and the sported a rich Dakota Gray metallic exterior finish, complemented by a Velvet Beige interior with dark carpet. 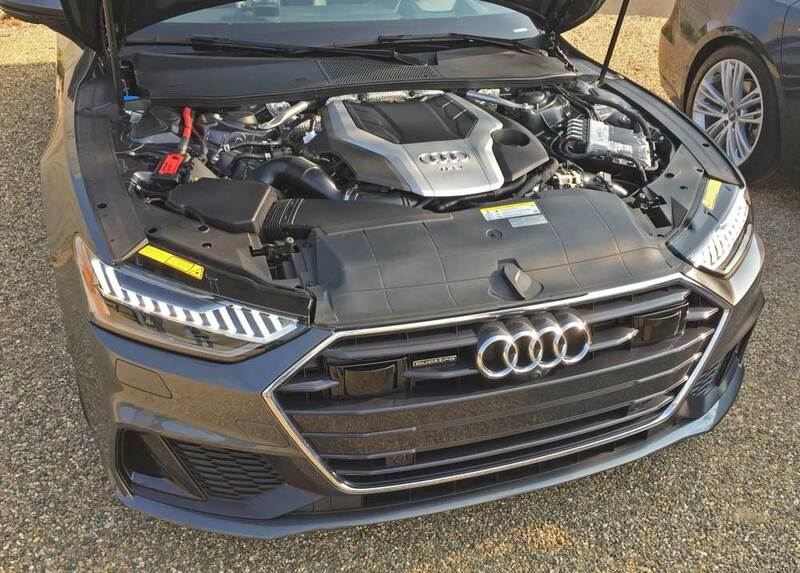 The base price was set at $68,000 while optional extras such as the metallic paint, Prestige S-line exterior, 20-inch wheels shod with summer performance tires, Audi Side Assist and Destination charge racked up a final total price of $85,240. The A7 is a technological marvel with Audi connect, which delivers real-time driver relevant information into the vehicle, such as the Google Earth™ navigation with voice recognition, Google@ Local Search and in vehicle Wi-Fi connectivity for up to 8 devices. A redundant display appears in the form of a 5-inch wide display positioned between the speedometer and tachometer. The seven-speed dual clutch automatic transmission blends with Audi Drive select, which incorporates the automatic gearbox, power steering and engine to modify shift points, steering boost, and throttle characteristics via four modes: comfort, auto, dynamic and individual. Audi’s quattro all-wheel drive ultra@ system adds to the A7’s stability in a variety of driving scenarios for added driver confidence. In terms of acceleration, the A7 rips about as if it were powered by a V8, with smooth gear changes from the silky 7-speed transmission, either up or down. Handling is crisp and sporty, and the ride is firm but comfortable and not harsh at all. Bottom line, Audi’s have long been underrated and overlooked in terms of being performance oriented, but trust me, that’s no longer the case. If you’ve not piloted an Audi recently, you owe it to yourself to give it a go. I’m sure you’ll be impressed. 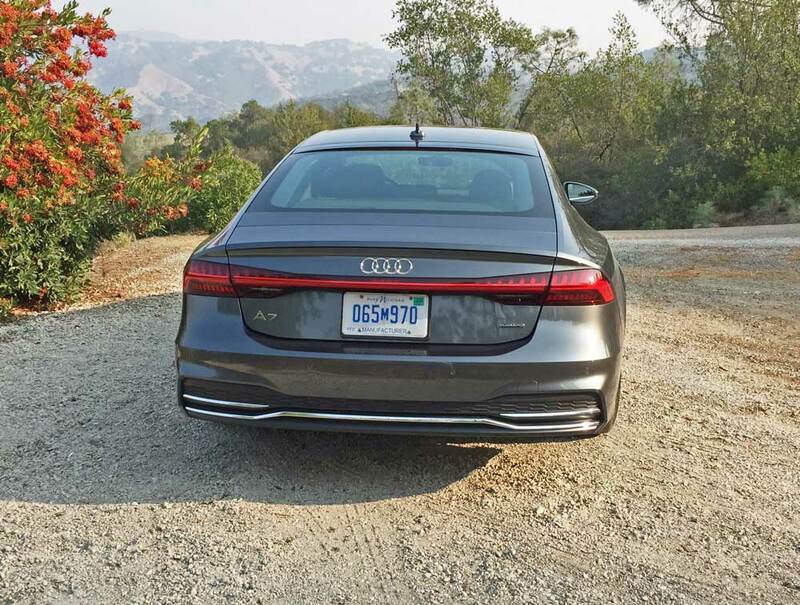 The A7 in particular is a delight with its unique and attractive coupe-like look along with its added versatility and functionality. Engine Type and Size: 3.0-liter TFSI® DOHC, 24-valve Turbocharged V6 with Audi VVT and a 48-volt Mild Hybrid Electric Vehicle technology with recuperation. Drive Train: Longitudinally-mounted front engine / quattro® AWD with ultra® technology. Brakes: Power-assisted four-wheel vented discs with ABS and ESC with Sport mode.